August 16, 2017, 11:11 a.m. The charity sector has seen an improvement in its overall health in the past 12 months, new YouGov CharityIndex data reveals. Analysis of 32 leading charities that YouGov CharityIndex has tracked continuously over the past four years shows that their aggregate Index scores – measuring overall brand health – have improved in the last 12 months. In the year to the end of June 2017 the average score was 22.9 – an improvement on 21.5 in the same period to June 2016 and 22.6 to June 2015. It comes after a challenging period for the third sector following a succession of negative news stories about individual charities. The Index score takes into account perceptions of a charity’s quality, value, impression, satisfaction, reputation and whether consumers would recommend the brand to others. YouGov CharityIndex is the authoritative measure of how consumers perceive charities. It tracks 50 charity brands on a daily basis, allowing not for profit organisations to track their brand perception all year round. 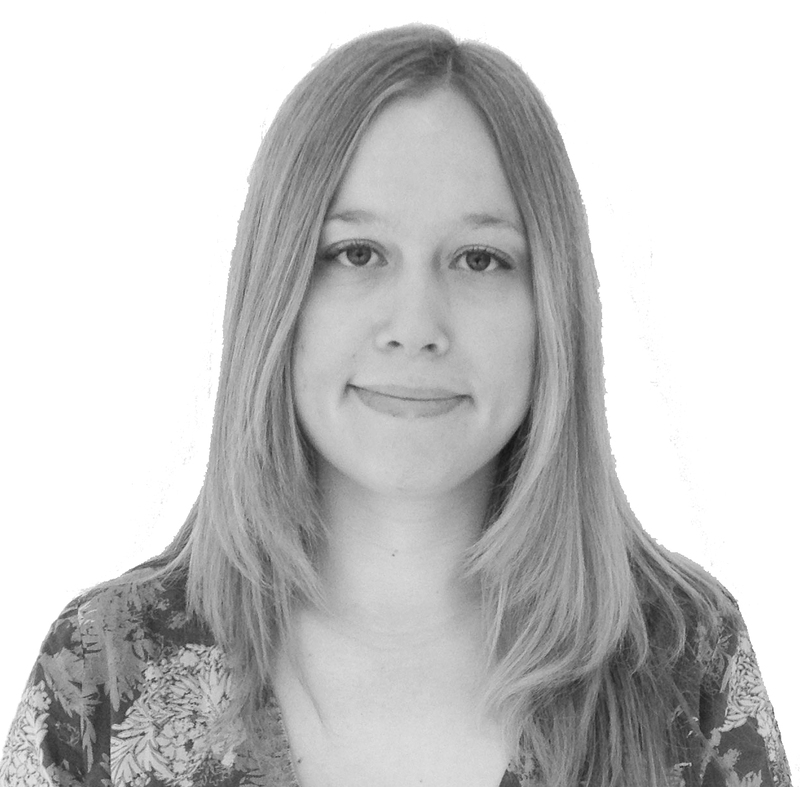 Charities have been under intense scrutiny over the past few years and the public perception of the sector suffered. However, this analysis suggests that the worst may be over and charities have turned a corner. What is unclear, though, is whether this is because the number of negative headlines about the sector have declined or whether it is the result of charities being better at getting across the value of their work. The analysis reveals the top ten charity brands driving this improvement. The RSPCA saw its Index score improve by 2.7 points in the 12 months to the end of June, ahead of Cancer Research UK (+2.3 points) and NSPCC (2.2 points). 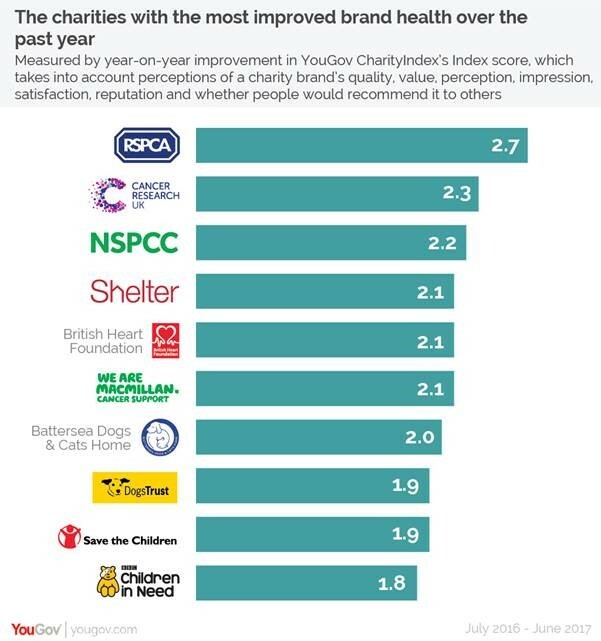 Three charity brands had the fourth-best improvement – Shelter, the British Heart Foundation, and Macmillan Cancer Support (all improving by +2.1 points). The YouGov CharityIndex data also revealed the top ten charities with the strongest overall brand health in the year to the end of June. Macmillan Cancer Support comes top, with Cancer Research UK in second place and the British Heart Foundation in third. The remainder of the top five is made up of the RNLI and Marie Curie.